Much media attention on Friday was paid to the fact that oil prices reversed course and fell by 2 percent due to bearish U.S. manufacturing data - but for once, analysts didn't seem overly concerned about the crude's performance. 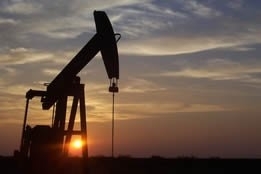 West Texas Intermediate fell $1.42, or 2.5 percent, to settle at $55.80 per barrel after hitting a high of $57.88; Brent fell $1.32 to $64.99 per barrel after reaching $67.14. The reversal was said to be due to the ISM manufacturing activity index in February sinking to the lowest since November 2016, and below expectations; however, even on the nebulous basis of sentiment driving the market, this news should have paled compared to survey results from Reuters showing that fuel consumption, especially in Asia's developing economies that are key drivers of global oil demand, is so far holding up (India's diesel consumption is expected to rise to a record this year amid economic growth of around 7 percent). Also, were demand declines to escalate, the negative fallout (ie: a global glut) would presumably be offset by the Organization of the Petroleum Exporting Countries (OPEC), which the Reuters survey showed had pumped 30.68 million barrels per day (bpd) in February, down 300,000 bpd from January and the lowest OPEC total since 2015. Plus, oil exports from Venezuela have reportedly plunged 40 percent to around 920,000 bpd since the U.S. government imposed sanctions on the Bolivian republic in late January. As if to suggest that perhaps too much focus is being placed on crude's day-to-day performance (something Khalid al-Falih, energy minister for Saudi Arabia, has long criticized the western media for doing), two respected analysts shrugged off Friday's losses and downplayed any implications resulting from the disappointing settlements. Jim Iuorio, managing director of TJM Insitutional Services, told CNBC television that crude's big reversal on Friday "was mostly technical....the good news is that $55 is good sport and I don't think it trades below that." Anthony Grisanti, founder and president of GRZ Energy, added, "It would have to trade well below $55 for me to throw in the towel; with seasonality and OPEC cutting, this market is going to $60 in the next few weeks." Still, some observers on Friday maintained focus on the short term and tried to make sense of trading behaviour: Tamar Essner, director for energy and utilities at Nasdaq Corporate Solutions, remarked, "It's sort of really push-pull in the short term between some fairly constructive bullish set-up on the supply side but really overshadowed by questions on the demand side; at the same time, you also have Donald Trump doing everything to push for lower oil prices."